The US ambassador to Tel Aviv says Israel checks all settlement expansion plans in the occupied Palestinian territories with the United States which never challenges them. In an interview published in Israel Hayom daily, David Friedman said Israel “shouldn’t have to ask permission from the US” to build settlements in the occupied West Bank. According to Friedman, Israel is entitled to the possibility even though the Trump administration has never challenged an Israeli construction plan in the West Bank. US newspapers have said Friedman is unfit to be ambassador to Israel, arguing that he has politicized his diplomatic office and misrepresented US policy on the conflict with Palestinians. “In David Friedman, President Trump has nominated someone who lacks the necessary temperament to serve in such a crucial position,” the San Francisco Chronicle wrote last March. Under the Trump administration, Israel has increasingly become emboldened in its settlement expansion and repressive policies against Palestinians and Friedman is viewed more of an Israeli ambassador. 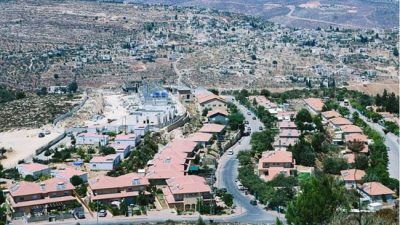 Earlier this month, Palestinian media reported that Israel plans to build more than 4,700 settler units in the village of al-Walaja, west of the city of Bethlehem. In August, the Israeli regime approved plans for the construction of over 1,000 settler units in the occupied West Bank. He further reiterated that Washington does not view Israeli settlements as an obstacle to resolve the decades-long Israeli-Palestinian conflict. Friedman had previously been a donor to the Israeli settlement of Beit El, situated near the West bank city of Ramallah. Elsewhere in his interview, Friedman played down the chances that a future US president could reverse Washington’s decision to move its embassy from Tel Aviv to Jerusalem al-Quds and recognize the occupied city as the “capital” of Israel. “In order for an administration to reverse this, they would have to conclude that Jerusalem is not the capital of Israel and Tel Aviv is. I think that would be a far more controversial thing to do than what the president did,” he said. Trump recognized Jerusalem al-Quds as the “capital” of Israel last December and relocated the American embassy to the occupied city in May.